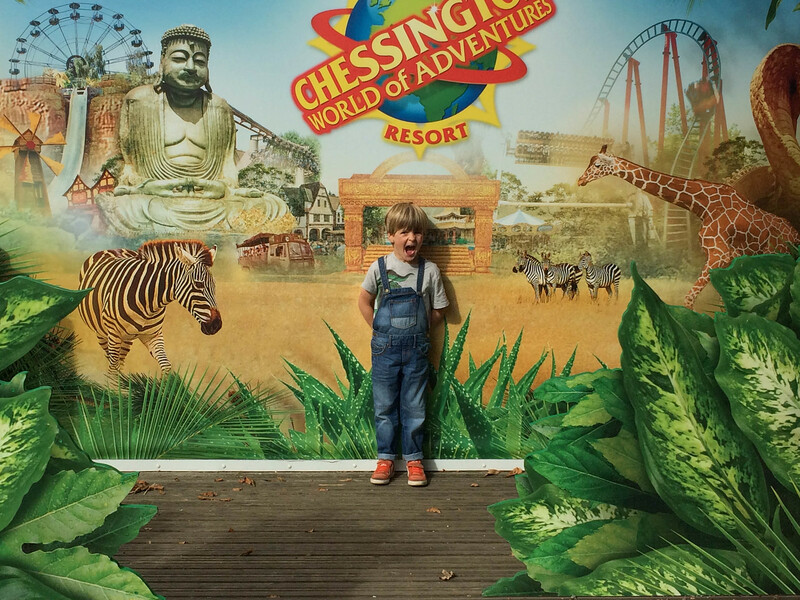 Home family life	Inset day fun at an empty Chessington! As anyone with a school age child knows, inset days are a bit of a gift when it comes to visiting tourist spots in term time. 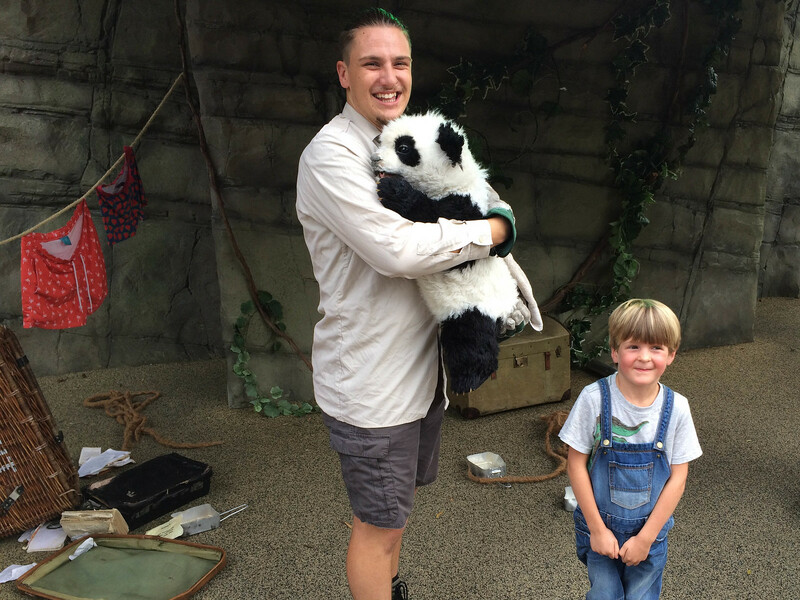 When Theo had one today we decided to use our annual Merlin passes to visit Chessington World Of Adventures. It should have been a great opportunity a family outing for all four of us, but Alice started teething over the weekend, so in the end I had to stay at home with her, whilst Jim and Theo had a boys outing. 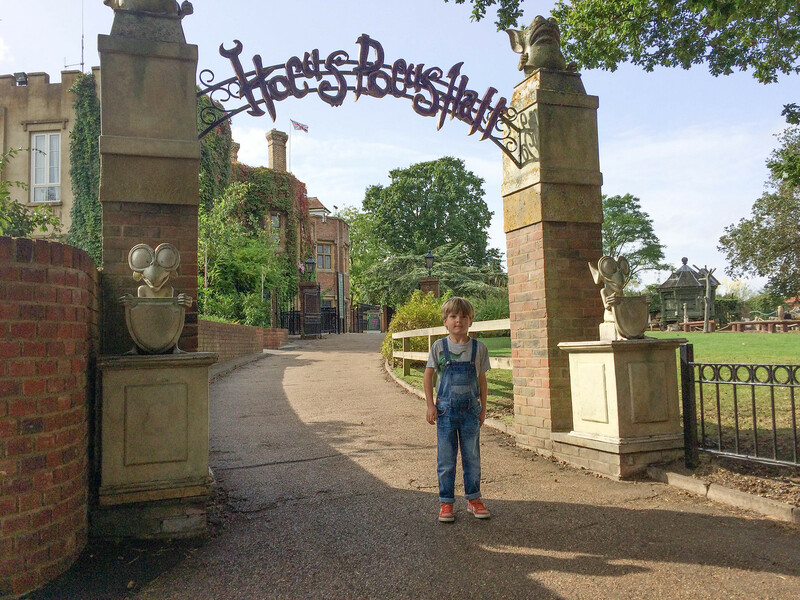 It’s several decades since either Jim or I have visited Chessington so we did some research beforehand about whether Thorpe Park or Chessington woud be better for a day out with a 5 year-old. Thorpe Park seems to be targeted more towards teenagers, with Chessington having more rides suitable for younger kids with less height restrictions and of course the added bonus of the safari park too. The boys had a pretty clear run up from the south coast and arrived at Chessington at 11am. The site was very quiet and went straight through and jumped on the Scorpion Express because it looked quiet and they didn’t know what the rest of the park would be like… they needn’t have worried! Despite arriving late, the whole attraction stayed quiet all day and there were no queues for any of the rides. They said the most they had in front of them were three people and on most rides they were asked if they wanted to stay on for a second go – perfect! Having a boys day out also meant that Jim was able to take Theo on ‘Vampire’ his first proper rollercoaster ride. He apparently enjoyed it more than me, Jim famously took me on one 9 years ago on our honeymoon and I still haven’t forgiven him! Having seen the video of the ride on youtube, I was amazed that Vampire isn’t one of the rides with height restrictions. One thing that has changed since Jim and I were kids (or at least in our memory) is that the safari park part isn’t separate to the rides. In fact the first thing they saw when they walked in was otters…followed by penguins…and then a ride! Talking of animals the Zufari ride (were you sit on the back of a truck and get driven through the animals habitat) was also a big hit. They saw giraffes, white rhinos and ostriches. They also tried out Tomb Blaster where you shoot targets with infra-red guns on a ride, Tuk Tuk Turmoil (bumper cars) and Hocus Pocus Hall which is a haunted house. It was interesting looking on Facebook today and seeing that several of Theo’s school friends had similar ideas about how to spend their inset day with one of his classmates heading for Legoland. Having last used our passes for a couple of London attractions in the summer holidays, we will definitely target inset days in future for our visits. At Legoland Manchester between now and Thursday 20th October, the attraction will be transformed into the world of Ninjago as visitors embark on an epic Day of the Departed adventure. There’s Master Model Building classes to create your own LEGO® Ninjago Eye Mask, a LEGO® Ninjago Laser Maze and a load of other attractions. The otters are the National Sea Life Centre in Birmingham are being kept busy with a cool activity mat which keeps their little minds active and has them entertained for days on end. The BUSTER ActivityMat presents the user with a range of problem solving tasks which massively helps their development. 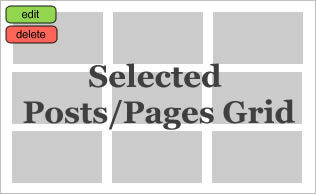 With any group of tasks, some they find easy, and some they find more difficult, but that’s the whole fun of it.